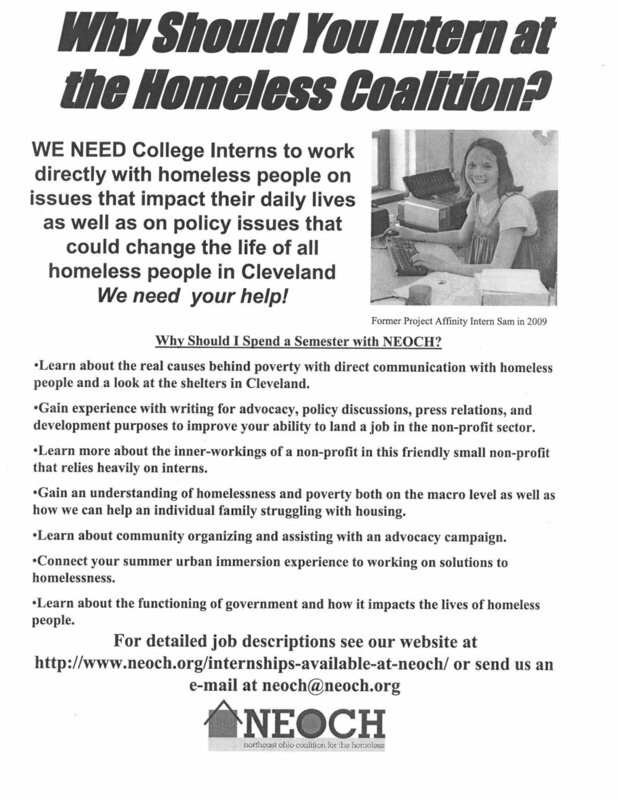 NEOCH has a couple of interns already assigned to work on solutions to homelessness this summer, but we still have two additional spots available. You can apply by sending an e-mail to NEOCH to request an application. We have a flyer below to entice you to participate in our internship program and we have a web page with descriptions.